Happy La Semana Santa (Holy) week! There is no better way to sample the wines of Baja and the gastronomical delights of Todos Santos than at the GastroVino Festival. This year’s 3rd annual Festival includes wine pairing dinners, wine tasting and a bubbly brunch. Don’t miss the main festival that takes place in the plaza pública on May 24, featuring wineries, wine tasting, delicious morsels from area restaurants, live music and more! There’s more than good wine in Southern Baja—you can learn about the great coffee and fresh baked goods at Baja Beans Roasting Company and the artisanal spirits being brewed at The Distillery in this issue’s profiles as well. 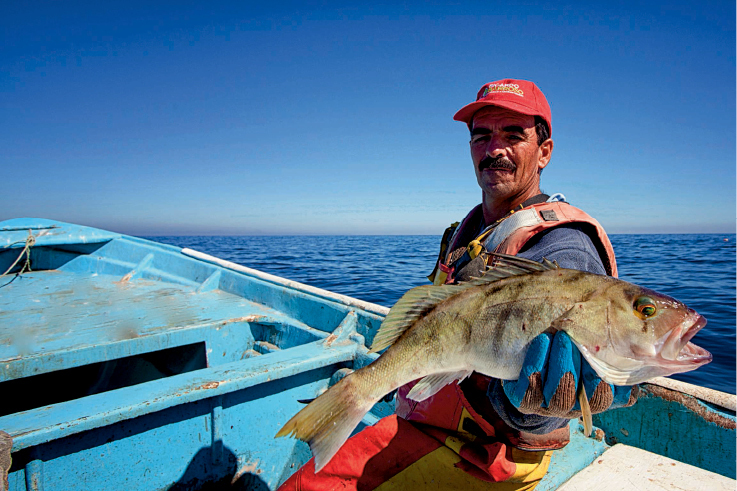 Fresh, quality fish and sustainable fisheries can go hand in hand. A report by Oceana uncovered the staggering amount of wasted seafood and marine life, known as bycatch, in several U.S. fisheries. 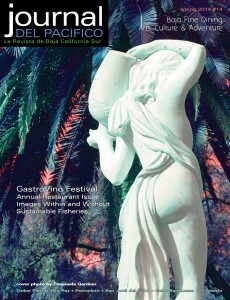 This is a concern for communities and chefs in Baja as well. This issue, Bryan Jáuregui of Todos Santos Eco Adventures writes about two men’s quest to educate fishermen and restaurants and help make Baja’s fisheries sustainable with a program called SmartFish. May 1, Restaurante Tre Galline is moving to share location with Caffé Todos Santos. Don’t worry! You can still get a great cup of coffee and a hearty Caffé Todos Santos breakfast or lunch, then come back for an elegant Italian dinner, pizza or scrumptious dessert in the evening. Gallo Azul is now open in the stunning new blue building on Zaragoza, just a half a block up from the park in Todos Santos. Gallo Azul serves pizzas and salads, has a full bar and art too! You’ve probably noticed the colorful Dana’s Diner in Pescadero, next to the Pemex. Next time you’re passing through, stop in and enjoy old style hamburgers, hot dogs, veggie burgers, with French fries, onion rings, jalapeno poppers and more. Full bar with live music coming soon. Baja isn’t all art, wine and great food. Many authors also make their home here. Karl Eysenbach’s book, The Story of the Century, set in in Baja and Los Angeles with romance, intrigue and suspense, is available at El Tecolote Bookstore in Todos Santos. Do you have aches and pains in your body? Do you need relief from an injury or pain, new or old? Look into Yamuna Foot Fitness and Body Rolling taught by certified instructor Emily Gable at Estudio Baja located across from Shut Up Frank’s in Todos Santos. Roll out your knots, open your joints and elongate your spine! Certified Ayurvedic practitioner, Valma Brenton can assist you with natural well-being through yoga, Ayurveda and sustainable living. Call or email for a consultation. 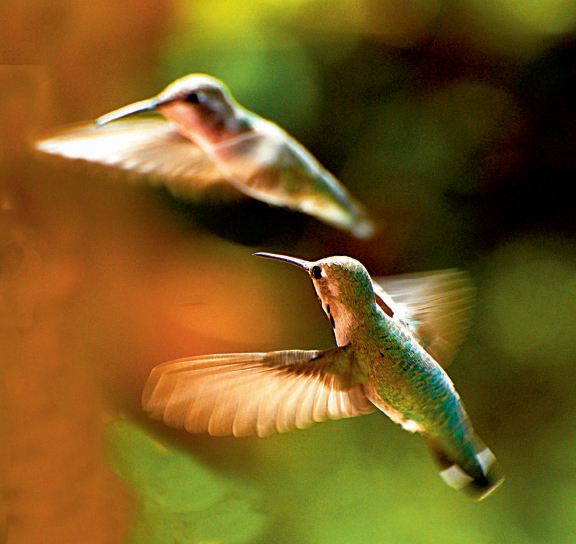 May 11, take part in the first annual Hummingbird Festival, to be held at the Centro Cultural in Todos Santos. It’s sure to be fun with art, music, food and guest speakers. There is also a hummingbird photo contest. Check out our article, in the Spring 2014 issue for more details. FANLAP, Fundación Ayuda Niños La Paz A.C., is an non-profit organization that helps keep children in school in La Paz. They operate a dining room and library in Colonia Laguna Azul, one of the poorest neighborhoods within the jurisdiction of La Paz and raise funds to keep children in school. According to the latest NOAA/CPC report, there is a 50% chance that equatorial waters in the Pacific will warm sufficiently to meet the criteria for an El Niño (warmer than average sea-surface temperatures). As a result, NOAA’s Climate Prediction Center has issued an El Niño Watch for summer 2014. Make sure to protect your windows, doors and home interior with Baja Hurricane Screens. See their ad for more information. We will see you soon with our Summer/Verano issue—the deadline is May 1. 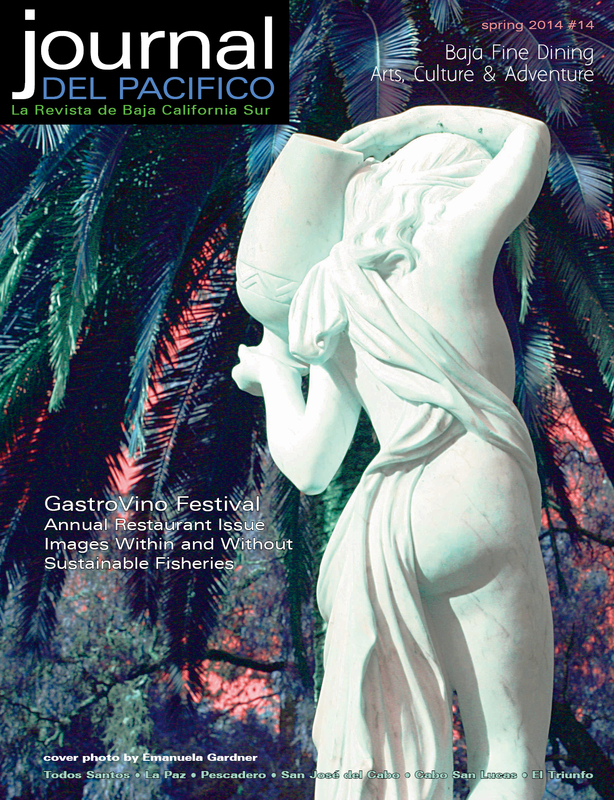 This entry was posted in baja mexico, El Tecolote Bookstore, GastroVino Festival, La Bodega de Todos Santos, la paz baja, Mexican wine, Pescadero, The Distillery, todos santos, todos santos baja, todos santos baja mexico, Tre Galline, Uncategorized and tagged Baja, Baja Beans Roasting Company, Emanuael Gardner, FANLAP, GastroVino Festival, Hummingbird Festival, Journal del Pacifico, La Paz, Pescadero, Todos Santos, Todos Santos Eco Adventures by janicekinne. Bookmark the permalink.